I’ve worked in an office environment for more than two decades. Things have certainly changed drastically over that relatively short amount of time. With the Internet and email, we’re more chained to our desks than ever before. There’s no need to walk to someone’s office when you can converse via email quickly and easily. Walking to the library, courthouse, county building or other research facility doesn’t make sense when you can just use Google to find whatever information you need. Some folks rarely leave their desks except to use the restroom! Not only is sitting bad for you, but offices are like big factories for producing germs, stress and unhealthy food choices. Here are 10 ways you can negate some of the bad effects of an office job and stay healthy at work. 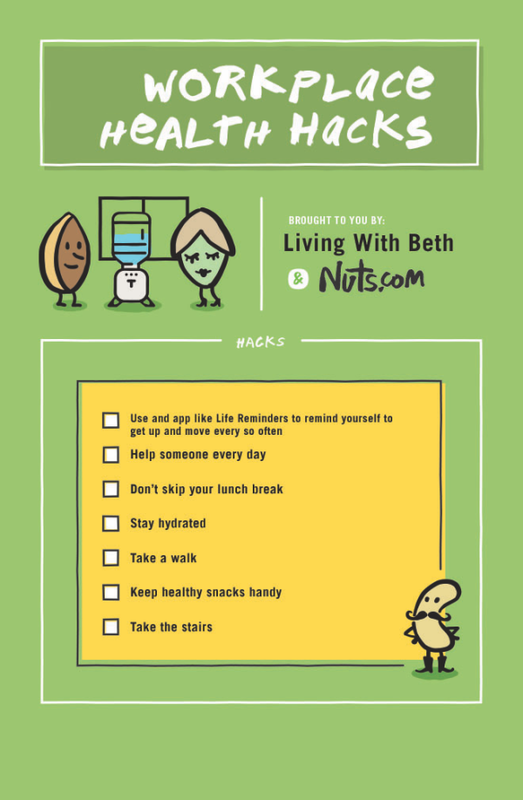 If you have trouble remembering to get up and move periodically, try a free app such as Life Reminders to remind yourself. 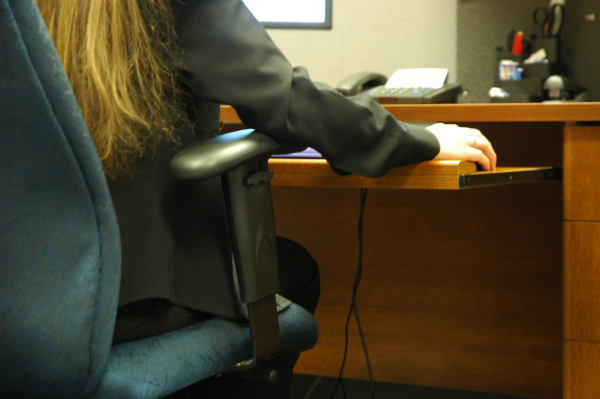 For more daily activity, consider an affordable under desk exercise machine such as InMovement Desk Pedals. They’re a sturdy set of bicycle pedals that you can pedal while working at your desk. One of the things I love about my job is helping people. The computer problems that frustrate most people are just part of my job, and fixing them makes people’s days. That, in turn, makes my day. If your job doesn’t always involve helping people, make it so. Offer to help someone with an undesirable task, or just perform a random act of kindness every day for a coworker. Give a hand to whoever is taking her turn at cleaning the office kitchen. Offer to help someone carrying a heavy load so she doesn’t have to make multiple trips. You probably already know that skipping lunch is a bad idea, but relying on fast food or any restaurant food is almost as bad. Even restaurant food that looks healthy probably isn’t. Specialty coffees from Starbucks and other such places are loaded with sugar and calories. Plus, all that money you spend on lunches and specialty coffees really adds up over time. You can use up leftovers from dinner, take soup or sandwiches, make salads or grab some pre-made tuna salad from the grocery store. It’s best if you leave your desk to eat, or at least ignore email and phone calls so you can enjoy an actual lunch break. One of the main ways I was able to lose 45 pounds and keep most of it off was making sure I never had to feel hungry. An important part of that is keeping healthy snacks nearby at all times, especially at the office. For me, that means mostly cheese sticks and light yogurt. 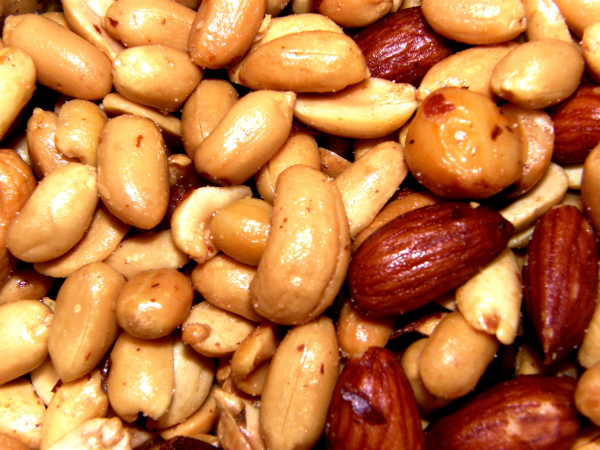 You might choose peanuts, almonds, cashews, walnuts, apple slices, carrot sticks or a banana. Beware of so-called energy bars or snack bars, even if they claim to be low in carbs. More likely, they’re loaded with some sort of sugar that’ll drain your energy rather than replenish it. Plus, they won’t stave off hunger for nearly as long as something like nuts, yogurt or cheese. 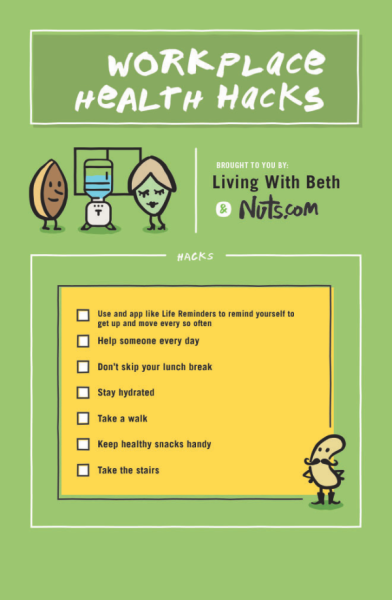 Take a 5 or 10 minute walk, either outside (weather permitting), around the building or up and down the stairs. I used to have a coworker who took walks inside the building on her breaks. Some offices have groups of people who go for walks or go up and down the stairs at the office during lunch breaks. 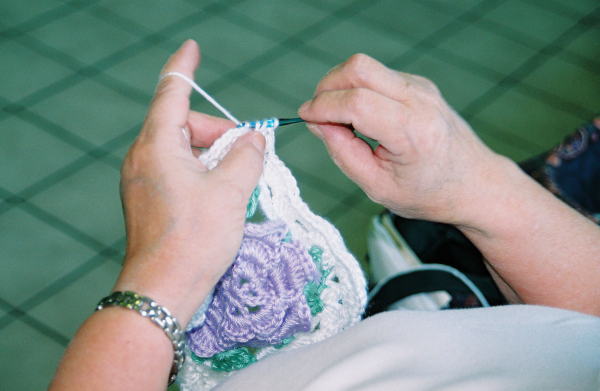 If you’d rather sit calmly and unwind, try a hobby like crocheting, or start writing in a journal. Read a book, or sit quietly and meditate. Some employers offer free soda as a job perk, and a few even offer free snacks, too. 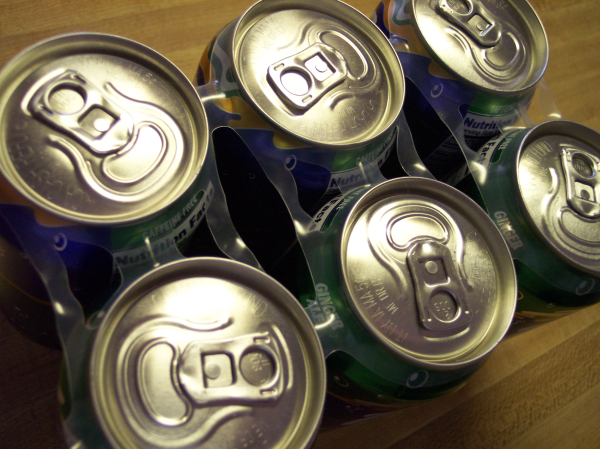 However, regularly drinking non-diet soda can add a huge amount of calories to your diet. Plus, studies show that sugar is really bad for you. Drink water instead to stay hydrated. If the water from the faucet at work tastes horrible, get an inexpensive water filtering pitcher. You can also choose to make iced tea for yourself. I took an iced tea maker to work, where I make myself a new pitcher every couple of days. 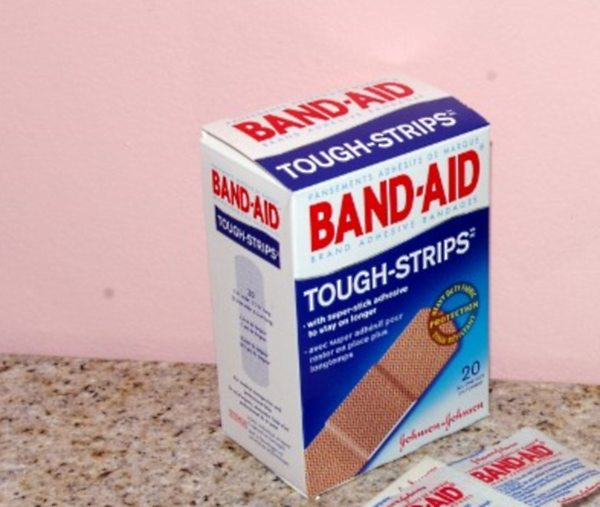 You’ll be a lot happier if you have Tylenol or Excedrin on hand in case you feel a headache coming on, a first aid kit with a Band-aid handy in case you get a painful paper cut and flossing sticks around in case you get some lunch stuck in your teeth. You may also want to keep some Tums and Immodium in a drawer in case of digestive upsets. In your first aid kit, keep aspirin and Benadryl in case someone suffers a heart attack or allergic reaction. Offices can feel like little petri dishes for germs, especially during winter months. Hand washing helps prevent the spread of germs from place to place, and hand sanitizer is the next best thing to hand washing. We touch things constantly throughout the day – doors, elevators, phones, keyboards and so on. Even people who don’t look sick might be carrying around tons of germs, which we’re exposed to constantly. Washing them off our hands makes it less likely that those germs will end up inside our bodies. 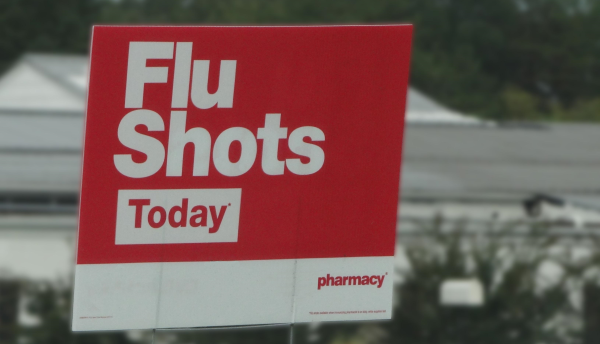 Despite what some people may think, the flu shot is pretty good at protecting against the flu for most people. One reason it’s not 100% effective is that it only protects against what the government thinks will be the predominant strains going around during the upcoming flu season. Mostly they get it right, but sometimes they don’t. I get sick a lot more often since I’ve had kids, but I rarely get the flu because I’ve been getting flu shots yearly for a very long time. I did get the flu during July the past two years – because I caught a strain that was just starting to go around, in the off season, before flu shots were available. I was just unlucky. I’m extremely grateful, though, for all the years that the flu shot did its job and protected me from getting sick, even when everyone around me seemed to be dropping like flies. Everyone needs days off and vacations. Even if you can’t afford to go anywhere on vacation, just being away from the office can do wonders for your morale. 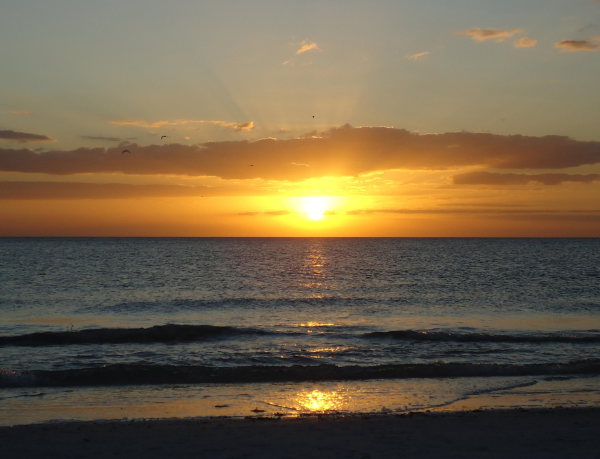 Studies often show that vacations are good for your health. They can hold off depression, decrease tension and stress and even improve marital satisfaction. How do you stay healthy at work? Are you tempted by free soda or snacks? Do your coworkers leave tempting donuts or other sweet treats in the kitchen? Do you try to resist them?